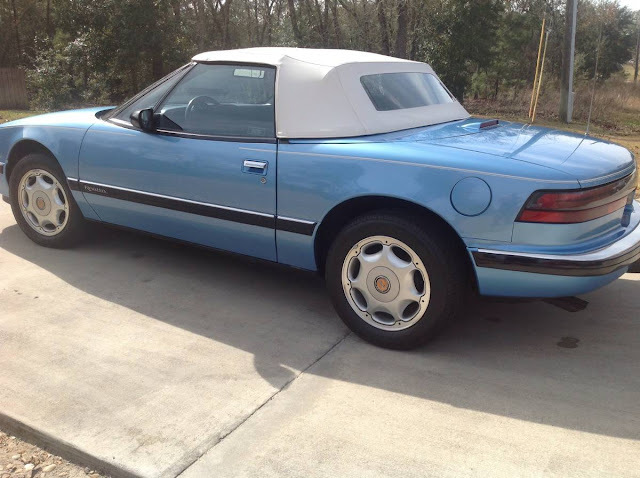 A few decades ago if you had $36k burning a hole in your Hammer pants, you could head over to your local Buick dealer and pickup a little convertible called to the Reatta. For $67k in today's money you got something that was basically a 2-door Pontiac Grand Prix with more cowl shake than Shakira after a six pack of Red Bull and a fifth of vodka...but way less fun. 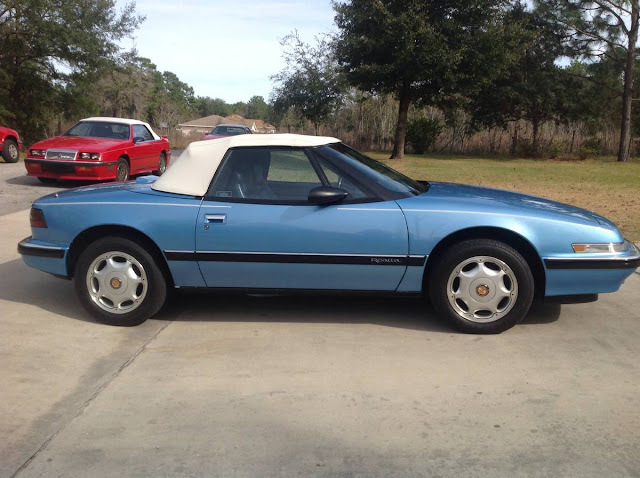 Find this 1991 Buick Reatta offered for $17,000 in Summerfield, FL via craigslist. Tip from Matt C.
It really doesn't matter how few miles are on this Reatta's cool digital dash, because a $17k asking price means that the seller is trying to pull a rabbit out of someone else's hat. Probably should omit that first digit from the asking price for anyone to take this seriously. Only eight words, but he still managed to include a spelling mistake. Deserves to be on "The Best of CL" on that basis alone. This car goes to show that just because you put it away, it will not necessarily become desirable. And finally, I would pay a nickel to see "Shakira after a six pack of Red Bull and a fifth of vodka". Nice visual, DT! Driving this would be as lame as wearing a toupe. Is a "toupe" like a "coupe"... but the top comes off? more like pulling a rabbit out of their..............tailpipe. Save some coin and buy this 1 year old Buick with 2,871 miles in Florida. Dean Kruse wasn't always right when he would say "When the top goes down, the price goes (way) up"